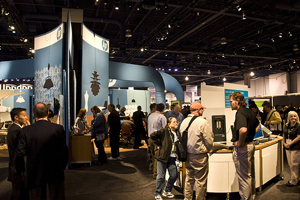 For many organizations, a trade show display is a make-or-break opportunity. Create something intriguing, and your traffic and visitors take notice. Create something “typical” and those same people take a different path. We understand the importance of your trade show presence, which is why we offer start-to-finish service for your trade show display. Whether you need simple graphics and signage, or a more elaborate display, we provide the ideas, insights and products to help you put on a show. As Port Washington and Long Island’s leader in custom graphics, Chief Signs is your best choice for creating a head-turning trade show display. Trade show signage can make or break your trade show experience. Don't let your customers look past you!